On August 27, in a presentation led by Joseph Batdorf, Mindy Price, and Nitin Agarwal, the trio will pull the curtains back from all the haze surrounding ratings and reviews. They will share insights and facts from the nationwide, monthly market survey of more than 55,000 properties’ online reputation. 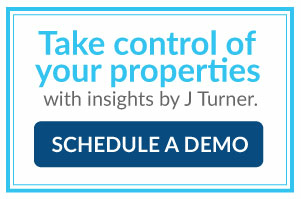 With online reputation playing an increasingly strong role in apartment marketing, this exclusive data available only from J Turner research will offer a comprehensive and quantifiable market survey of a property’s online reputation. A national conference and networking event for all facets of the student housing industry. "Technology's Impact on Student's Rental Housing Decisions : Keep Pace with Today's Bandwidth Expectations"
"Evolving Resident Demographics: Successfully Marketing to Millennials and Baby Boomers"
"Management & Operations: New Tenants & Retention Strategies"
"Resident Communications & Technology: What Prospects and Residents Want"
"Surveying the Decision Makers: Parental Influences on Rental Housing Decisions"
"Resident's Use and Perceptions of Social Media and the Multifamily Industry: Strategies to Evaluate Your Community's Online Presence"
"Measuring Customer Service and Managing Your Reputation in a High Speed World"